My good friend, Stacy, from The Backroad Life handed me an eggplant at the farmer's market and told me I needed to try one. So I took two. Brought them home and sat them on my counter for awhile. They are a beautiful vegetable, but I knew I needed to make something that I would hope the whole family would try. 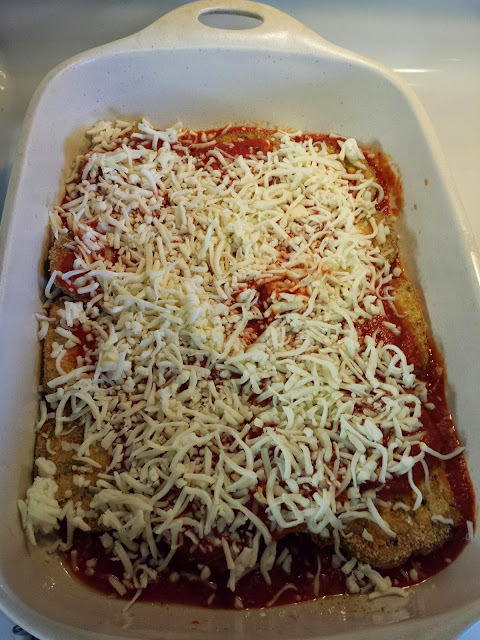 I decided to make Eggplant Parmesan. This is a simple recipe. It didn't take very long to assemble and put in the oven. Preheat the oven to 400 degrees. 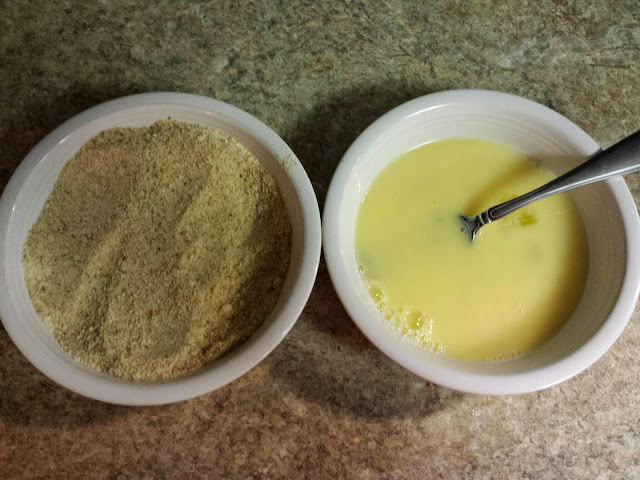 I put one cup of bread crumbs in one bowl and two beaten eggs in another bowl. 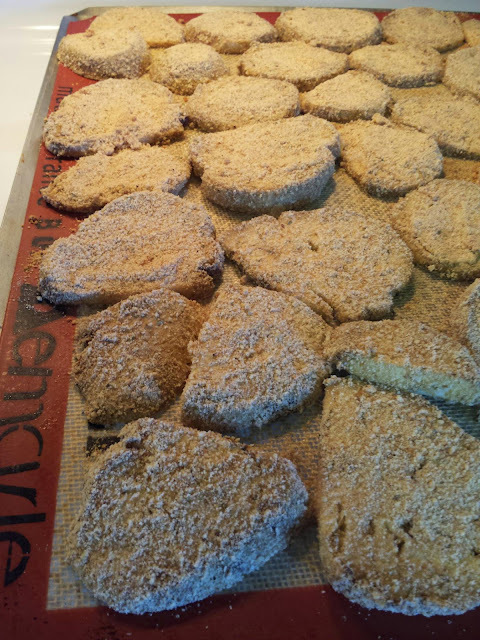 Bake the breaded eggplant in the oven for 10 minutes or until it turns a golden brown. 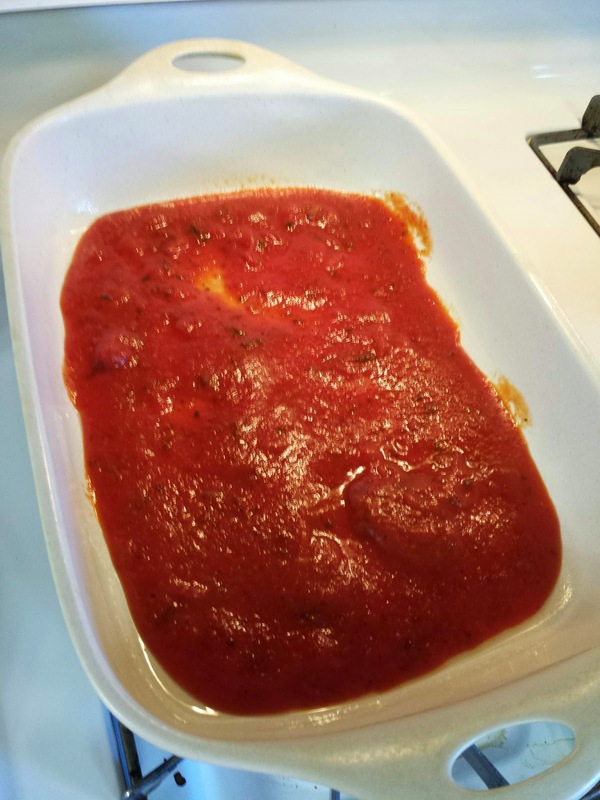 I put two cups of spaghetti sauce in the bottom of a 9x13 baking pan. 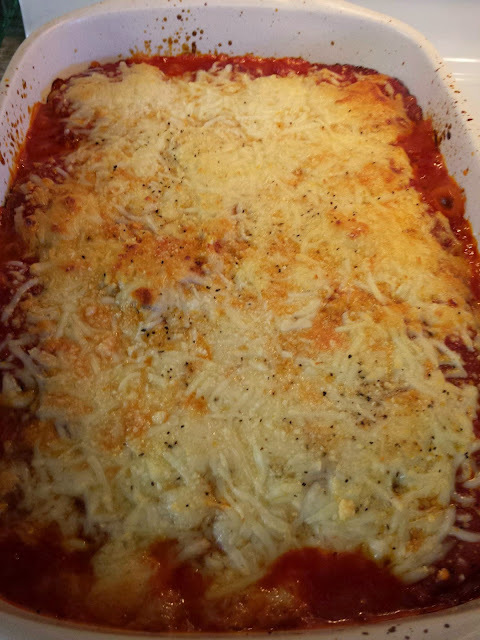 Layer the baked eggplant on the spaghetti sauce. Keep layering sauce, eggplant and cheese. Add salt and pepper to taste. Bake 25-30 minutes until cheese is brown. Let set for a few minutes before you cut and serve. 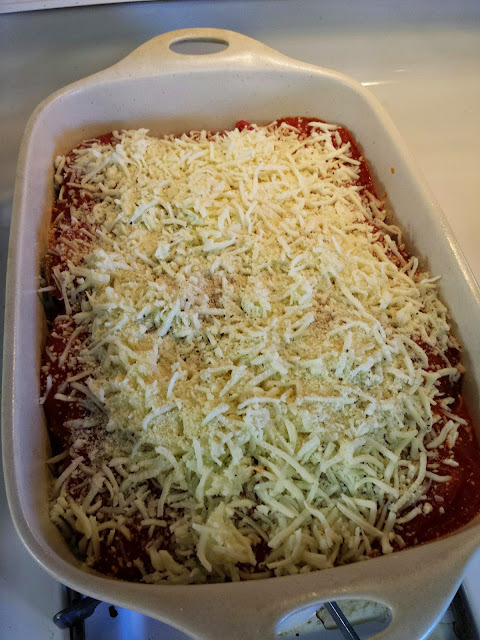 I loved this Eggplant Parmesan, and even shared with friends. I am so glad Stacy suggested I tried eggplant! 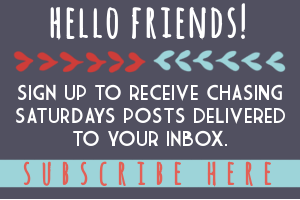 I love the simplicity of this recipe. Pinning to try next summer! 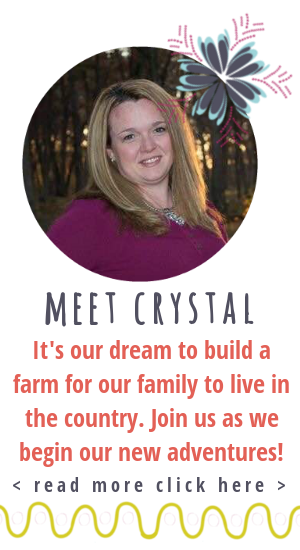 Thanks for sharing on the Country Fair Blog Party this month.